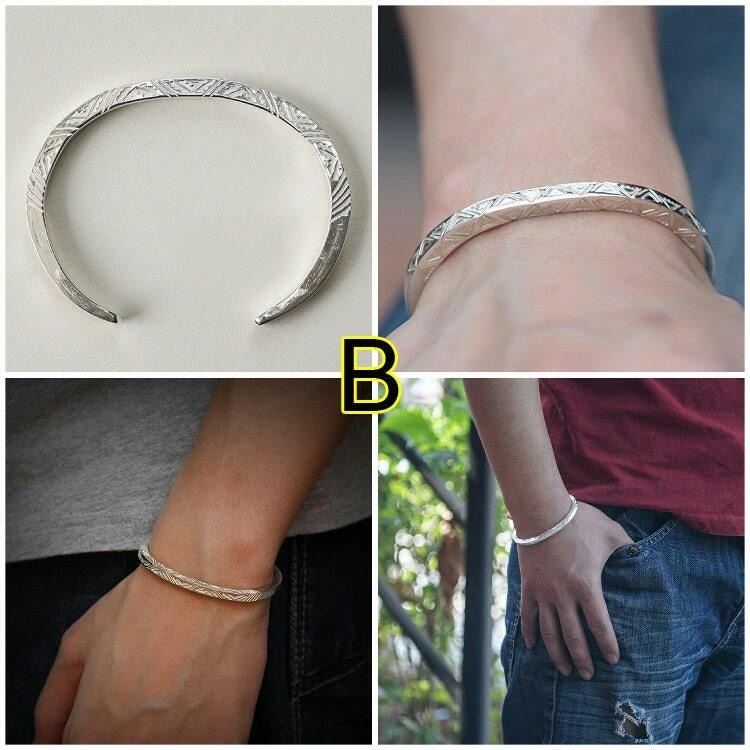 The tribal silver bangle collection is a set of different designs carved on slim silver bangles. 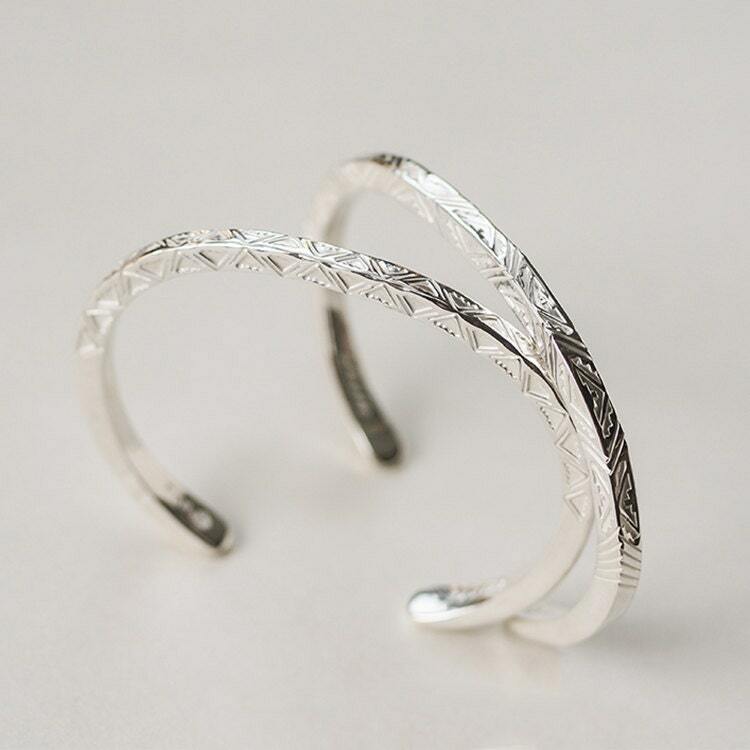 The ethnic bangle design is inspired by Navajo patterns - straight, geometric patterns arranged all over the length of the open silver bangle. 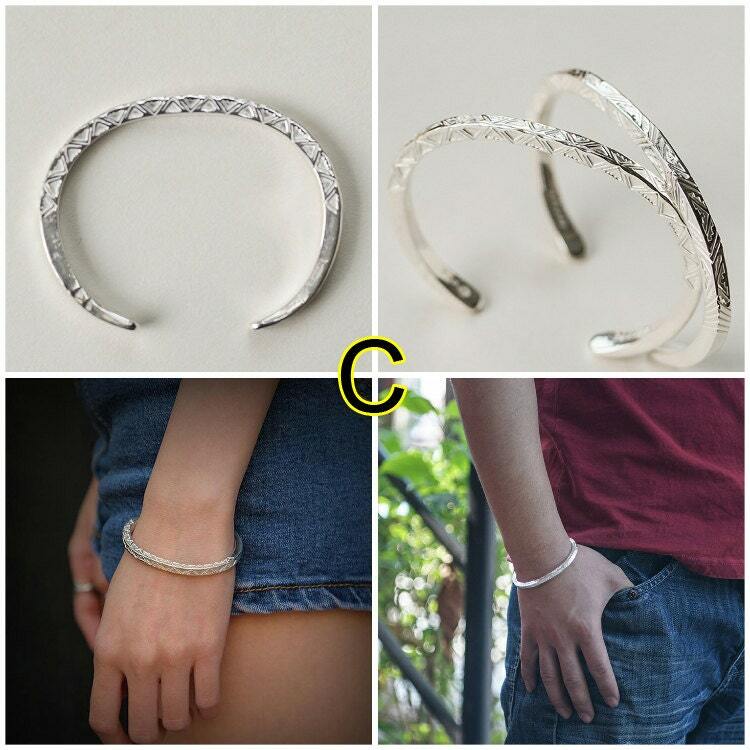 Slim, and elegant, with a square cross-section, the 950 sterling silver bangles are ideal for daily wear. 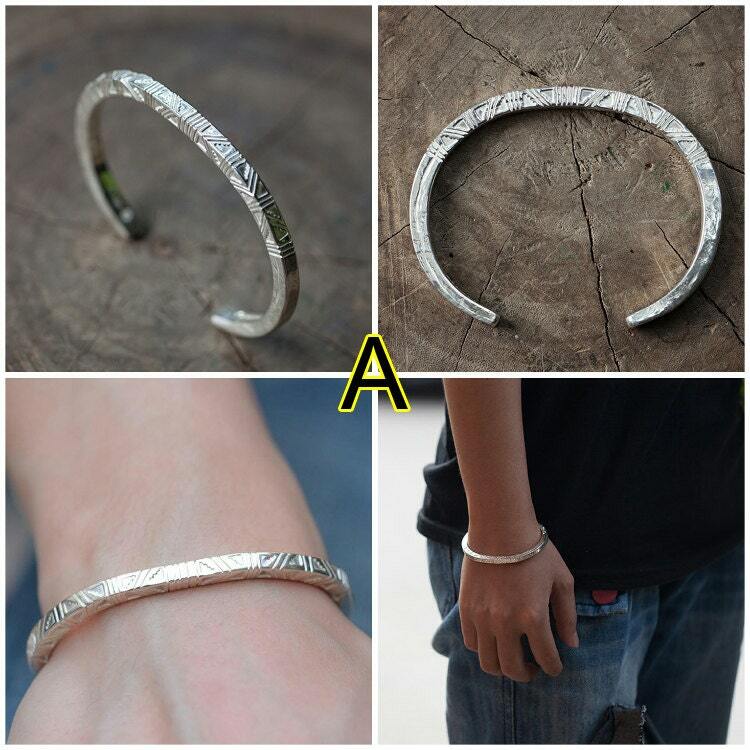 Width: 0.4 cm/0.16 inch. Thickness: 4mm/0.16inch.